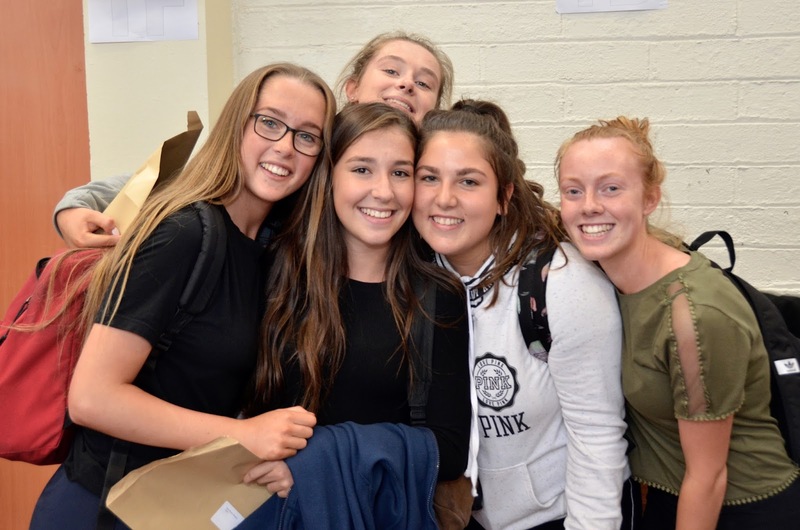 On Wednesday last we opened our doors at The High School to the public and invited those with an interest to wander our corridors, meet our pupils and teachers, and sample the wonderful variety of life at the school. We wandered the corridors as new parents and looked with delight into the Science laboratory where we saw a group of young people gathered around an exciting experiment. We peeked into the Home Economics room and saw the pupils and teachers there whisking and mixing, filling the entire building with the delicious aroma of baking. Our ears were enchanted by the rising harmonies and melodies echoing from the Music Centre as the choir charmed a beguiled audience, while the delights of the Art Department provided enough visual wonder to make even the least capable of us wish that we could be pupils again. 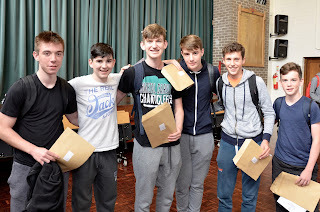 There were games and quizzes in Business, Mathematics, Geography and Modern Foreign Languages, symbols from the ancient world in Classics, stories about Yeats in English, and myths and legends in Irish and History, astounding displays of woodwork in the Technical Block and Physical Education with international representatives in the Gymnasium. 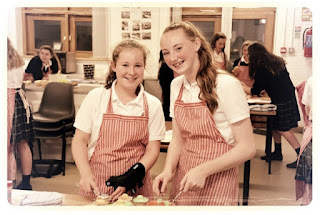 In every nook and cranny, there were people gathered, listening, talking and sampling just a little of what we do at The High School, led along by their tour guides, our helpful and smiling pupils, who gave up their evening so willingly. And when the last parent had gone and the doors of The High School were closed for the night, it felt like something special had happened - that we had experienced a little of the magic of The High School with all those who had visited. This year, Transition Year pupils went to Kippure Estate, Co Wicklow to participate in an overnight camping excursion. We enjoyed a range of activities including; hiking in the Wicklow Mountains, camp craft activities, orienteering, archery, wall climbing, abseiling and a high/low ropes course. magnificent scenery that surrounded us. activities such as learning how to start a fire using flint, and how to filter water using charcoal, fine stones and moss. would be used in preparing our dinner. We worked together in groups and used the skills that we learned earlier that day to cook the food sourced over our handmade fires. Later that evening we were summoned by our instructors for a night hike. On return, we sang songs in the blackness of the woods around the comforting glow of the campfire before heading to bed. After an early morning rise we ate breakfast and dismantled our tents before packing them away. We were then put through our paces in a number of adventure activities, where we scaled walls to giddy heights and leapt from dangling trapezes. After a thoroughly enjoyable and bonding experience we returned to our everyday lives, tired yet fulfilled. 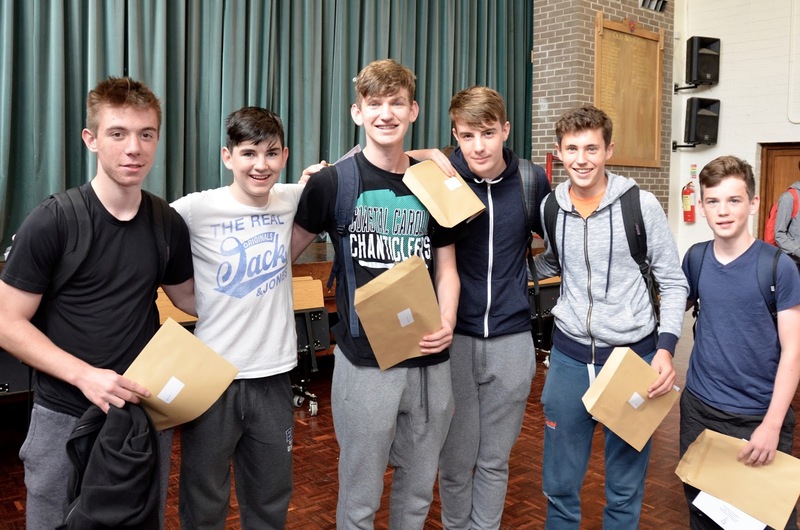 On Wednesday the 14 September 2016, Form 4 pupils got their long awaited Junior Certificate results. For the last time we gathered together in our old Form 3 classes and were presented with our 'brown envelopes' in alphabetical order. The tension began to build but we were soon put put of our misery as teachers passed out our results. A quick phone call home later and we were on the school bus for our next adventure. Blue, Brown and Red, and assigned different tasks. We took part in three 20-minute long games and had a lot of fun. It was great to spend the afternoon together as a year group. It marked the end of what had been a momentous three years. We would like to thank The High School Parents' Association for organising this event for us. 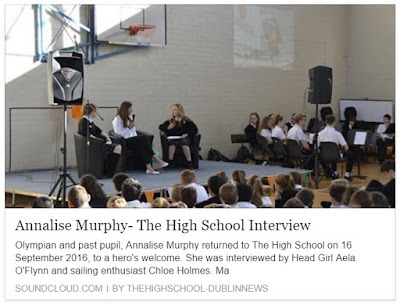 Click here to listen to the Annalise Murphy High School Interview, recorded 16 September 2016, when this Olympian past pupil dropped by to speak to current pupils about sailing, school and the sweet allure of scones! During the summer, The High School's Form 4 and 5 rugby panel set off on a two week tour of South Africa. After arriving at Cape Town via Dubai, we drove to a small town called Franschoek. 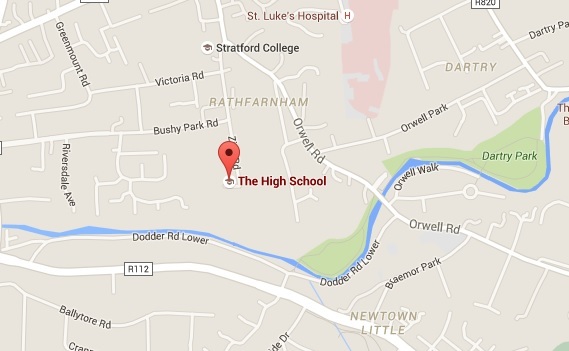 While there our 2nds played the local secondary school but lost against a very quick side. Our next opponent was Somerset College. Both of our teams put on impressive displays and won comfortably. We traveled to Cape Town the following day and went sight seeing, visiting places like Table Mountain and Robben Island. rugby Jerseys to the Township too. where we finally got the weather we were hoping for. Our last matter of business was to play Durban High School. They provided the biggest challenge of the tour, and we managed to front up to their big men and win a very tight match. Our seconds were unlucky to miss out on a deserved win by conceding with minutes to go. Then we went off to the airport, with a brief stop in a waterpark, and before we knew it, we were heading back home to Ireland. It was an amazing experience and we would like to thank our parents and teachers for making it all possible.